The Trump administration is considering pressuring the Afghan government to postpone next year's presidential election as it seeks a peace deal with the Taliban to end the 17-year war, reports the Wall Street Journal, citing people briefed on the talks. Why it matters: Some officials in Washington fear that voting irregularities and violence that routinely occur in Afghan elections could undermine or destroy the prospect of a peace deal. But this request “would be a contentious move that runs counter to the long-held U.S. objective of promoting democracy in Afghanistan," and it could potentially create friction between both countries, the WSJ writes. President Ashraf Ghani has already come out against such a proposal. 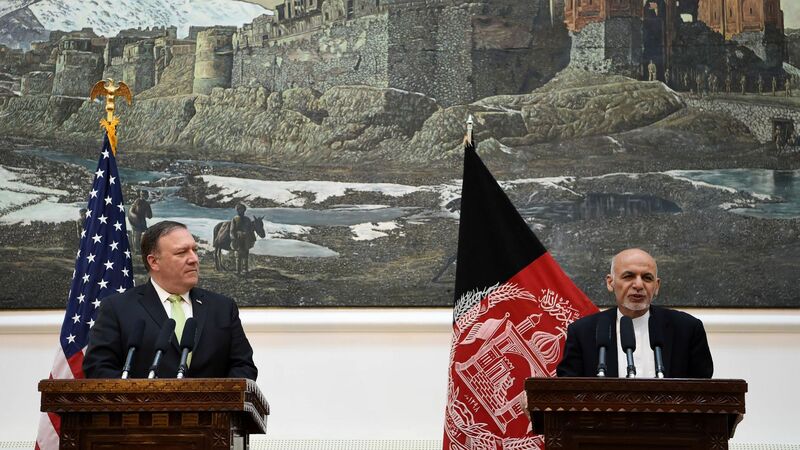 The details: Kabul would need financial and military support from the U.S. if the election were delayed, but Afghan leaders are reportedly skeptical of American influence. Ghani, who’s expected to run for a second five-year term, recently said the April 20 vote will proceed as scheduled.